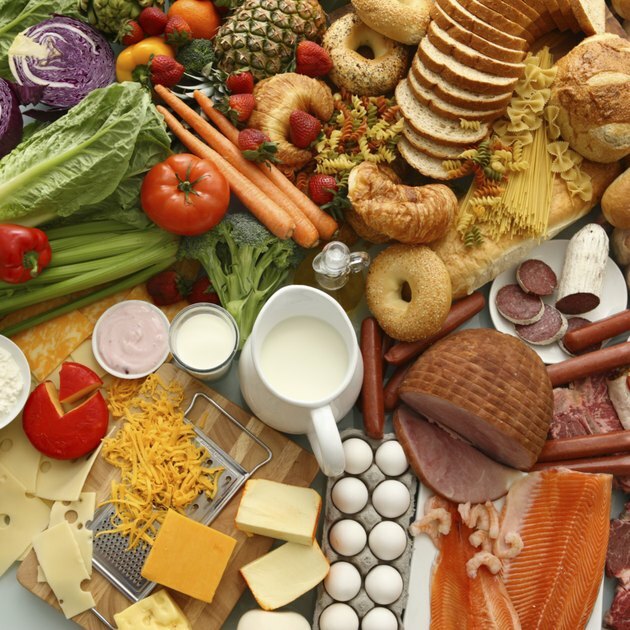 If you want to eat a healthy diet, you'll need to understand the five food groups. The five food groups are vegetables, fruits, grains, dairy and protein. A healthy, balanced diet will include food from each group. The vegetable food group includes dark green vegetables, starchy vegetables, red and orange vegetables, beans and peas. Broccoli, corn, carrots, black beans and artichokes are all members of the vegetable group. Fresh fruit and 100 percent fruit juice are members of the fruit food group, which includes berries, melons and fruit cocktail. 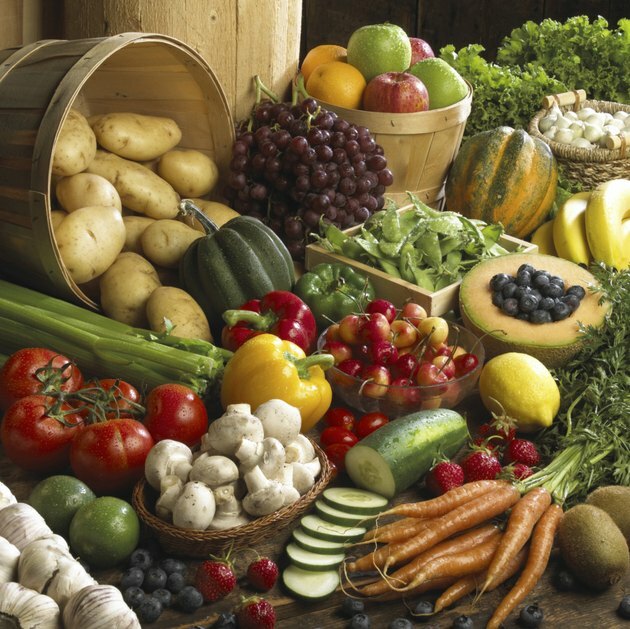 The U.S. Department of Agriculture says that half of every meal should be made from fruits and vegetables. Milk and some foods made from milk make up the dairy food group. Cheese, soy milk, animal milk and yogurt are members of this group. Some foods that are made from milk are not in the dairy group, such as cream, cream cheese and butter. 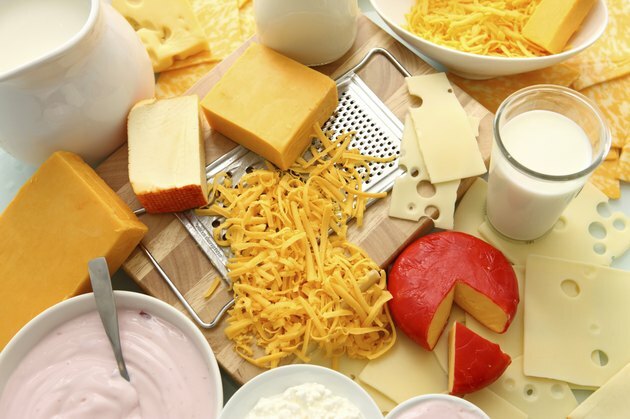 The USDA recommends choosing low-fat or nonfat dairy foods. Grains are classified as any food made from wheat, rice, oats, cornmeal, barley or other cereal grains. The USDA recommends eating at least half of your grain intake from whole grains, such as in whole wheat bread. Protein foods include anything made from meat poultry, seafood, beans and peas, eggs, processed soy products, nuts and seeds. 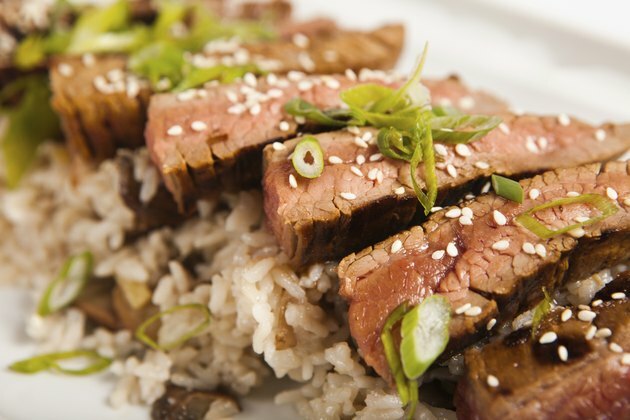 The USDA recommends choosing the leaner cuts of beef and poultry when eating these protein sources. USDA ChooseMyPlate.gov: What Foods Are in the Fruit Group? USDA ChooseMyPlate.gov: What Foods Are Included in the Dairy Group?